An unmanned robotic vehicle has successfully touched the deepest known part of the ocean floor, U.S. researchers revealed on Wednesday. On May 31, the Nereus was launched off the research vessel Kilo Moana in the western Pacific Ocean, between Papua New Guinea and Japan. The unmanned aquatic vessel descended 10,902 metres into a part of the Mariana Trench known as Challenger Deep. It is the first vessel to explore the remote area in more than a decade. "It's the deepest known part of the ocean," said Andy Bowen, project manager of the Woods Hole Oceanographic Institution, which led the dive. "The trench is virtually unexplored, and I am absolutely certain Nereus will enable new discoveries." With a budget of $8 million US, the Nereus dive was the first voyage into the trench since a Japanese-built robot named Kaiko attempted a voyage in 1998. That robot disappeared when the cable connecting it snapped on a dive during a typhoon in 2003. Measuring a little more than four metres in length, Nereus was able to take pictures and video of the ocean floor and bring back samples of sea life, including shrimp and a sea cucumber. "The samples collected by the vehicle include sediment from the subducting and overriding tectonic plates that meet at the trench," said Patty Fryer, a geologist with the University of Hawaii. Water pressure in the trench is more than 1,000 times what it is on land at sea level. The nearly 11,000 metres that Nereus was able to dive is approximately the same as the cruising altitude of a commercial airliner and roughly two kilometres more than the summit of the tallest point on earth, Mount Everest. Researchers are excited about the potential to investigate such extreme conditions. "The ocean's deepest regions [were] previously inaccessible" said Julie Morris, the ocean sciences division director of the U.S. National Science Foundation. "We're very pleased with the success of these sea trials." Nereus was able to succeed where other devices had failed because of a unique new design, researchers say. The unmanned vehicle is remotely operated by pilots aboard a surface ship via a lightweight, micro-thin, fibre optic tether. 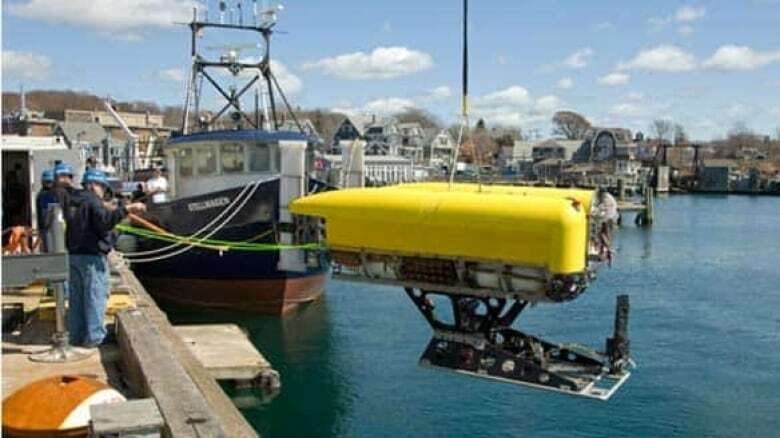 But Nereus can also be turned into a free-swimming, autonomous vehicle even at great depths. Conventional diving systems use steel-reinforced cables to maintain control of the probe, but such systems would snap under their own weight in the pressure conditions of the Mariana Trench. The tether the Nereus used during its 10-hour stint on the ocean floor used a combination of fibre optic cables and plastic sheath and was roughly the same diameter as a human hair. Testing will continue over the next few days, and the team will return to port on June 5.